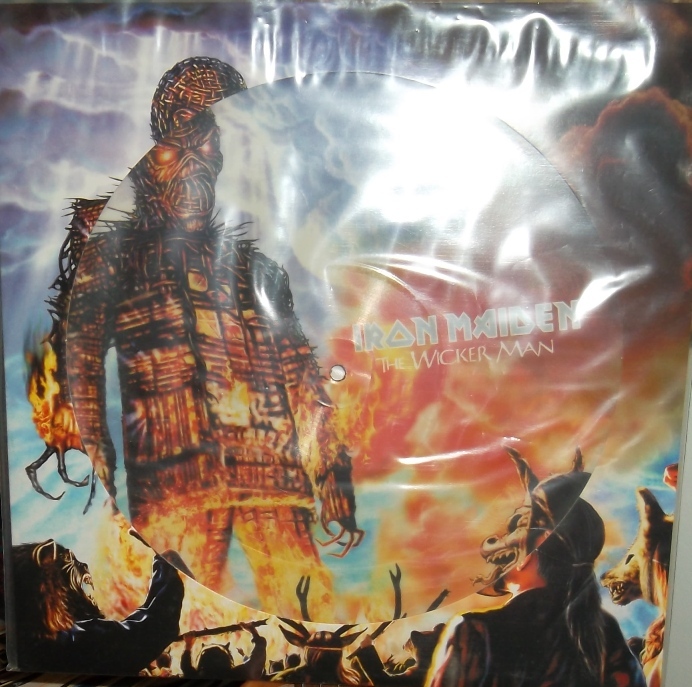 Part 34 of my series of Iron Maiden reviews! I’ve decided, much like my idol Martin Popoff, to stick pretty much to audio releases when it comes to this series of Maiden reviews. To get into video just opens a big can of worms that I don’t think I can handle. 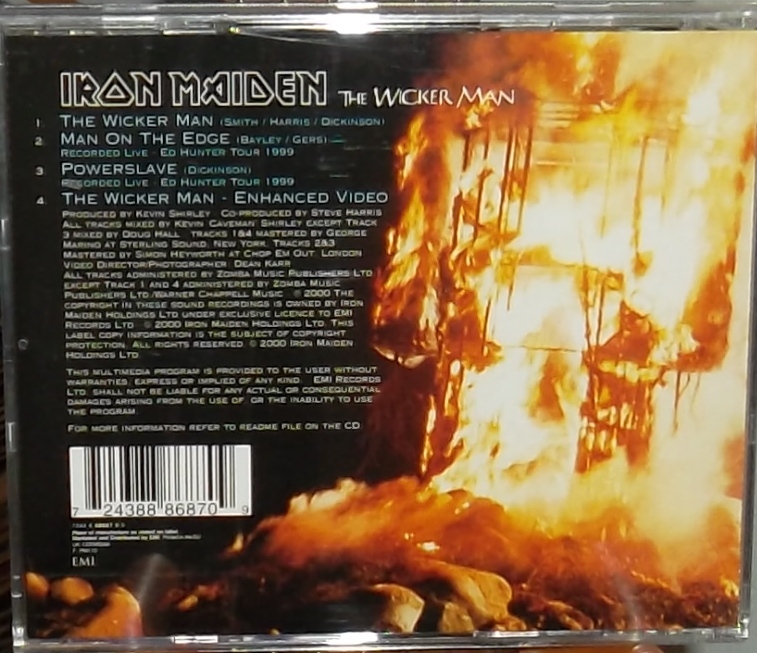 However worth mentioning is the excellent Maiden DVD The Early Days. A two-disc set, The Early Days combines an excellent documentary with lots of rare early Maiden footage featuring Di’Anno and Dickinson. Live At The Rainbow, Beast Over Hammersmith (audio available on Eddie’s Archive), Live In Dortmund, and Live at the Ruskin Arms are all a part of this, as well as some videos and Top of the Pops performances. The documentary chronicles the early days and features interviews with ex members Paul Di’Anno, Clive Burr, Dennis Stratton, Dave Sullivan, Terry Rance, Doug Sampson, Ron “Rebel” Matthews, Terry Wapram and Bob Sawyer. There are very few members missing from this documentary; most notably singers Paul Day and Den Wilcock, and drummer Thunderstick. 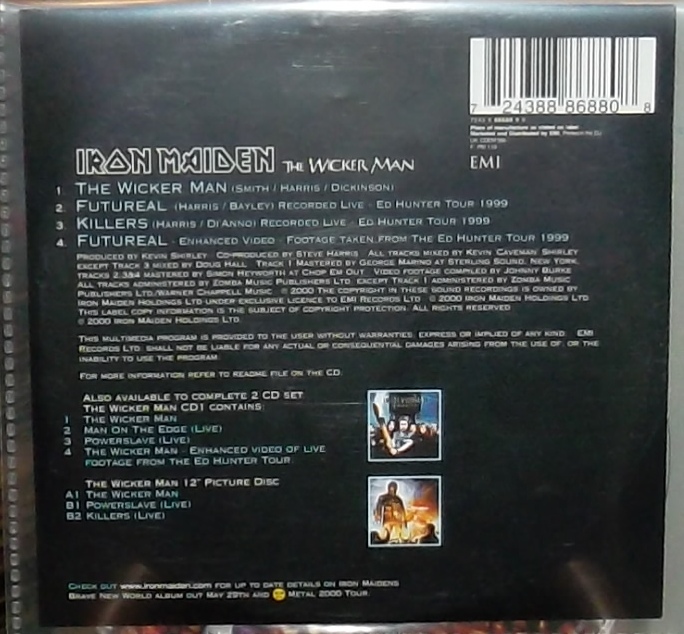 The following year, Maiden re-released “The Number of the Beast” as a CD single, with an advertisement promoting The Early Days on the back. Therefore I’ve decided to consider this single as promotional to The Early Days, which also contains the video for “Beast”. I also have a red vinyl 7″ single with a lovely poster. This one just contains the two versions of “Beast”. 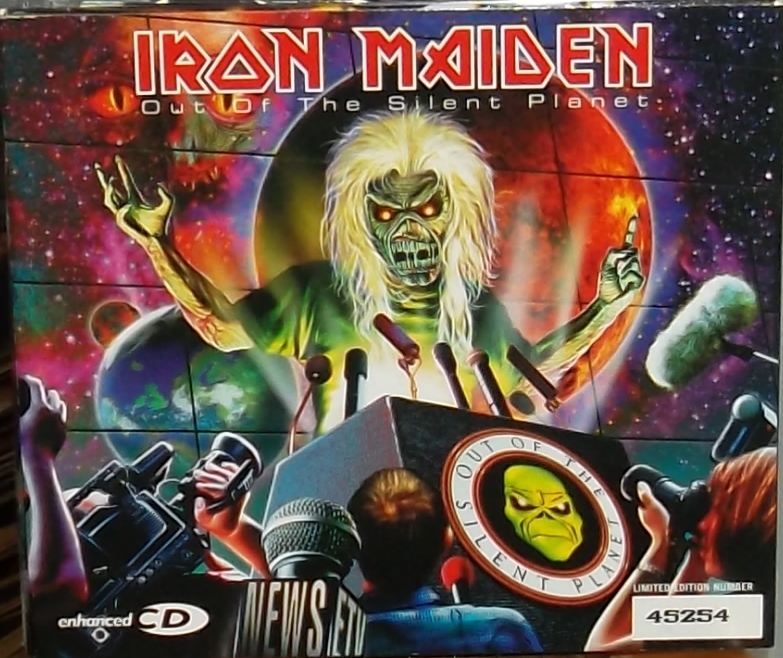 These live tracks being ’02, they featuring the six-man lineup of Steve Harris, Bruce Dickinson, Dave Murray, Janick Gers, Adrian Smith, and Nicko McBrain. So what can I say as far as an actual review goes? Well, it’s Maiden live in ’02, two of their all time best tracks. “Hallowed” in particular smokes with fiery solos by Dave and Janick. Janick simply burns up the fretboard with the kind of speedy fingerwork that the fans love him for. Bruce is in top voice. As a nice little extra bonus single for the fans, I have no complaints. 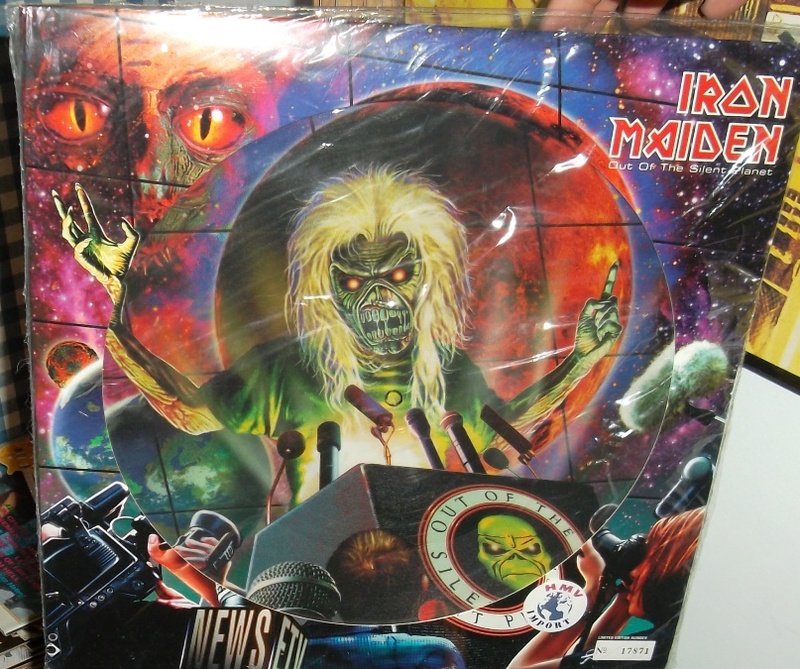 Part 29 of my series of Iron Maiden reviews! Ed Hunter tour complete, the returned Bruce Dickinson and the boys hit the studio. Steve had already begun writing several new songs while Blaze was still in the band. Several of these made it onto the new album, with Bruce singing them instead. Brave New World features the brand new three guitar lineup of Gers, Murray and Smith (aka “The Three Amigos”) for the first time in the studio. Steve Harris had flirted with a three guitar lineup very early in Maiden’s career. The original Iron Maiden lineup consisted of two guitar players named Terry Rance and Dave Sullivan. Neither were standout solists, but Dave Murray was. Harris’ concept was to bring in Murray as a third guitarist to solo over the other two. The other two didn’t like that idea and they split. 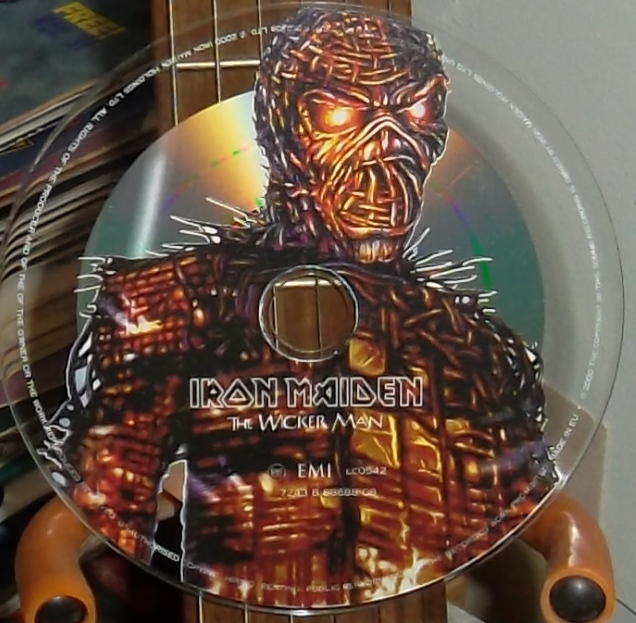 Since then, fans have wondered what Maiden would sound like with three guitars. Wonder no more. 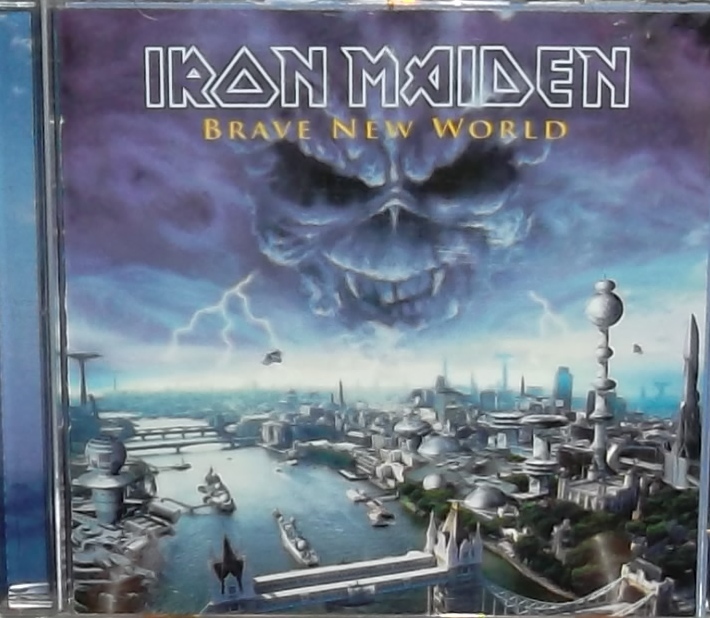 Brave New World is also the first full Maiden album produced by Kevin “Caveman” Shirley (he did the “Wraithchild” promo single prior to this), and features cover art partially done by original Maiden artist Derek “Dr. Death” Riggs. Anticipation ran high! From there, it’s the slow and heavier “Ghost of the Navigator”, an equally strong song. Then, the title track “Brave New World” has chiming guitars, and soft verses with heavy choruses. It suffers from Repetive Chorus Syndrome, something that has really dogged Maiden since The X Factor. Lyrically it seems to be an environmental theme, continuing with the real-world based style of writing from the previous albums. Steve Harris’ “Blood Brothers” is next, which once again suffers from the repetitive chorus. Otherwise, a strong song. “Side 1” of the vinyl version ended with the lethal “The Mercenary”, fast and deadly. “Side 2” kicked off with an epic track, “Dream of Mirrors”. 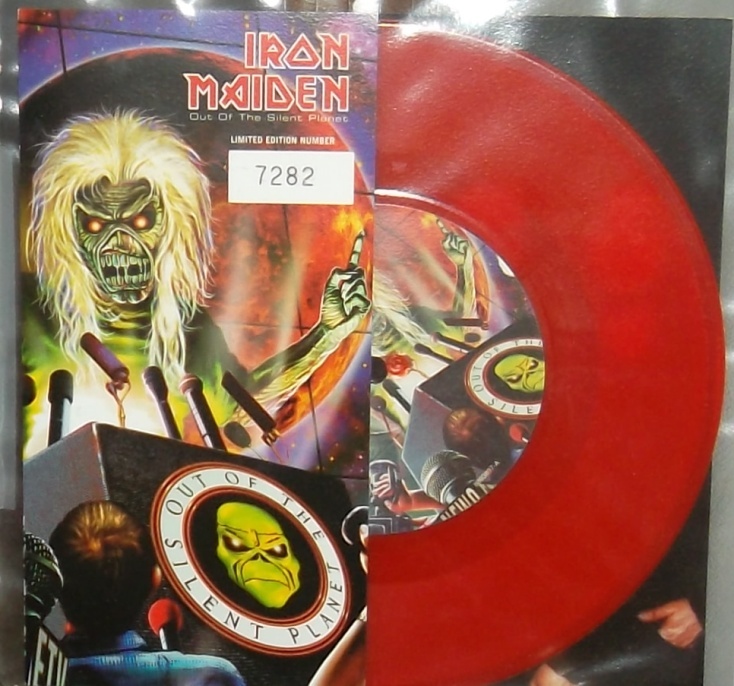 Clocking in at nearly 10 minutes, it’s one of Maiden’s greater epics. I would place this one pretty low on the list, especially with the repetitive chorus of “I only dream in black and white, I only dream when I’m alive, I only dream in black & white to save me from myself.” OK then. “The Fallen Angel” is next, and even though Bruce didn’t write it, I find it somewhat similar to some of the stuff on his Accident of Birth album. Then, another 9 minute epic! “The Nomad” is slightly middle eastern in sound, something they previously explored on “To Tame A Land” and “Powerslave”. It is not, however, a standout track. I love the three guitars. It was a brilliant idea to have Adrian come back, but nobody else have to leave. Adrian Smith is the melodic one who writes his solos out in advance. Janick Gers is the manic, spontaneous one whose solos frequently sound out of control. Dave Murray is somewhere between the two, with melodic, but barely-in-control trademark Maiden guitars. With this mix, the solos are deliciously diverse and you can identify each player. Shirley did a fine job on production, lending Maiden a powerful modern sound with big, big drums and clear, sparkling guitars. There were of course singles to collect. And collect them I did. The fine cover art (some of the Maiden’s best in my opinion) was done by Mark Wilkinson, of Marillion/Fish fame. 1. 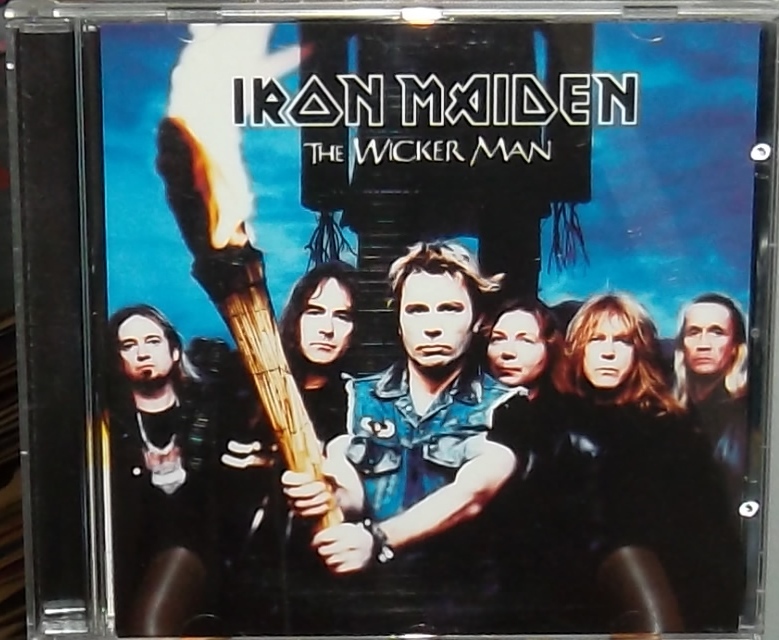 “The Wicker Man” singles, parts 1 & 2 which featured the cool “Wicker Man” video, as well as several live tracks from the reunion “Ed Hunter” tour. Of note were several Blaze era songs with Bruce singing. This is the only place you can hear Bruce belting out “Futureal” and “Man on the Edge”. They are also home to two smokin’ versions of the classics “Powerslave” and the awesome “Killers”. 2. 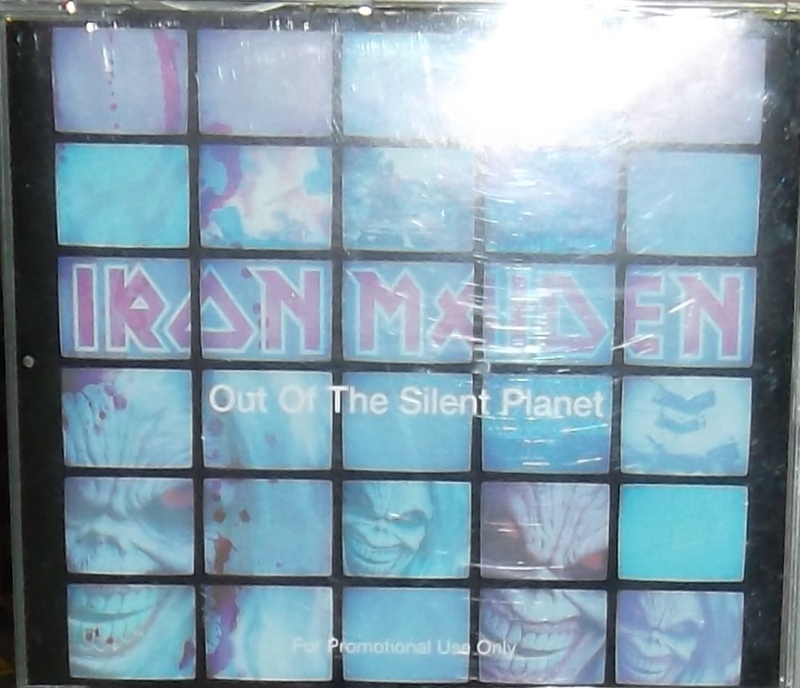 “Out Of The Silent Planet” single, which had that video, and two more tracks from the “Ed Hunter” tour: “Wasted Years” and “Aces High”. With Adrian back in the band, this version of “Wasted Years” is superior to the one on the “Hallowed By Thy Name” single.